In September of 2013, I decided to try to make the most of my garden space. This means I decided to plant things where they probably shouldn’t go. But I am always up for an experiment. 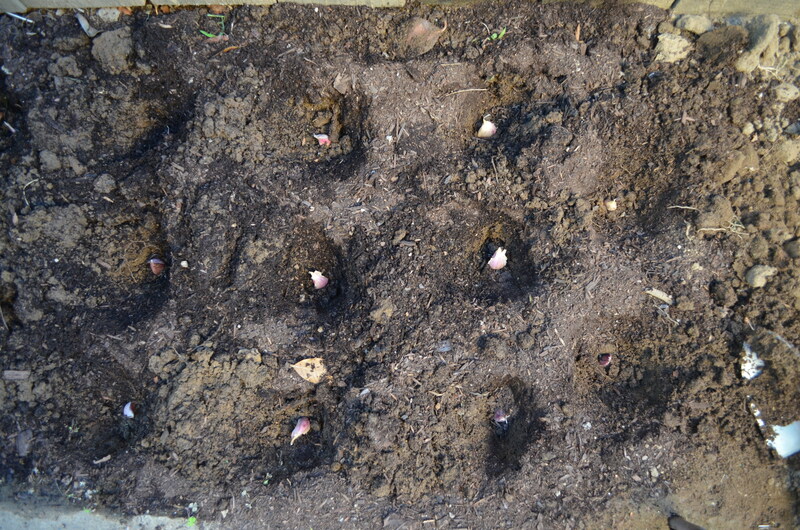 I decided to use this very small patch of dirt on the side of my house to grow garlic. Digging into this ground was almost impossible and I found lots of fun stuff like broken bottles. I dug it up as well as I could although the pitchfork kept getting stuck under the fence… that shows you how small this space really is. 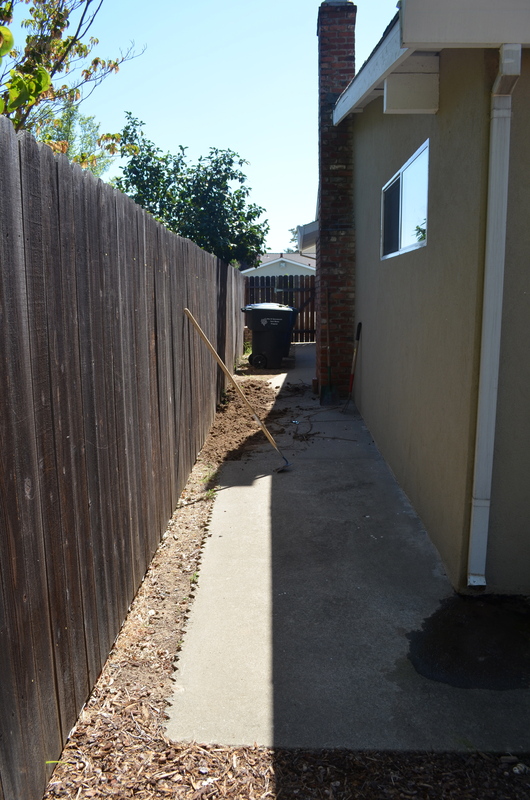 I stopped about half way down the fence because I couldn’t even get my pitchfork into the dirt further down the line. This definitely was dirt and not soil. 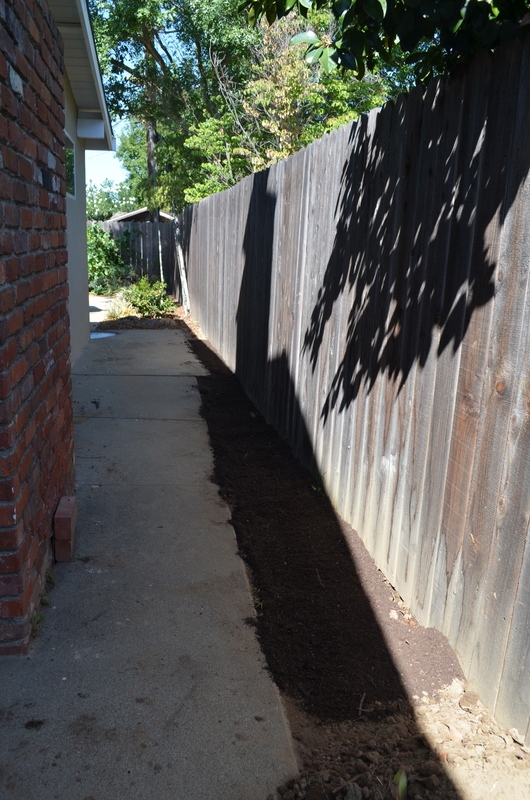 I didn’t find one living thing in the dirt… not an earthworm in sight. I put in some better soil since this dirt definitely didn’t have any nutrients in it. As you can see this part of the “garden” really doesn’t get all that much sun through the day since it is shaded by the house. Again, probably not the most brilliant place to try to plant something. I decided on two varieties of garlic for no particular reason. One was Chesnok Red a hard neck variety, and the other was a no-name variety I got at my local garden store, Talini’s Nursery. 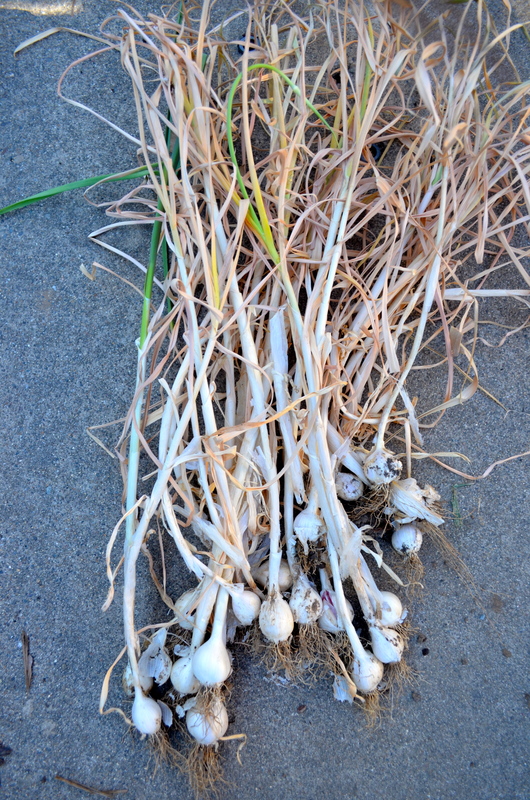 This is what the garlic looked like on May 17, 2014. I was pretty impressed that they did this well. Well that is pretty much as good as it gets. 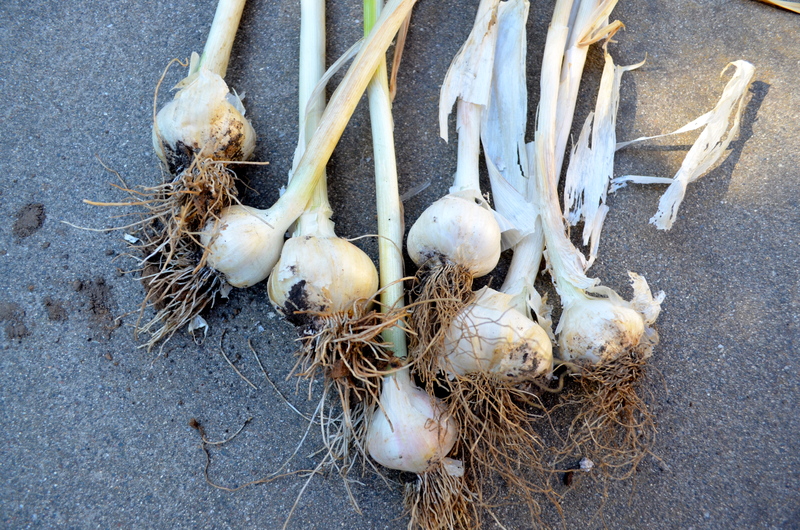 This week I started pulling up the garlic that has dried leaves and is falling over. 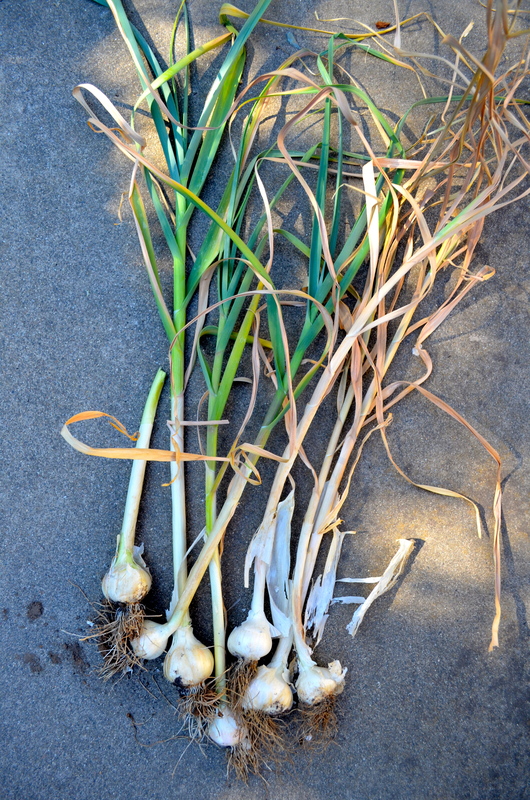 And this is what I harvested so far… Isn’t it the tiniest garlic you have ever seen? So basically no growth! It looks almost exactly the same size as when I planted it. Below is a picture of some garlic I put in along my fence line in much better soil and these look like your standard size garlic. Here they are side by side. 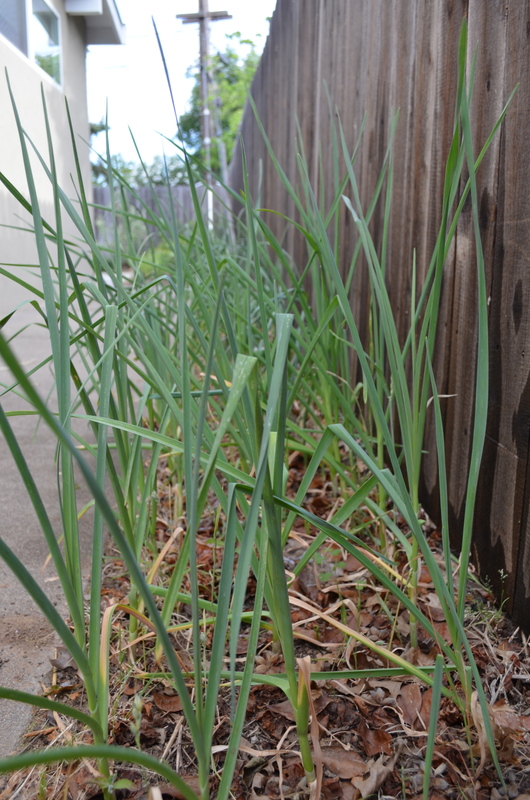 The garlic from the side of the house is on the left and the garlic in better soil and spaced out a bit more is on the right. So the lesson of the day is… soil matters! When you plant in unworkable, barren soil you get small, dinky plants! Well I am not going to give up on this little plot of dirt I have on the side of my house. I am thinking that if I can work up the soil by adding compost and maybe a handful of worms that this little strip of land can be used for growing shadier veg like lettuces or some herbs. 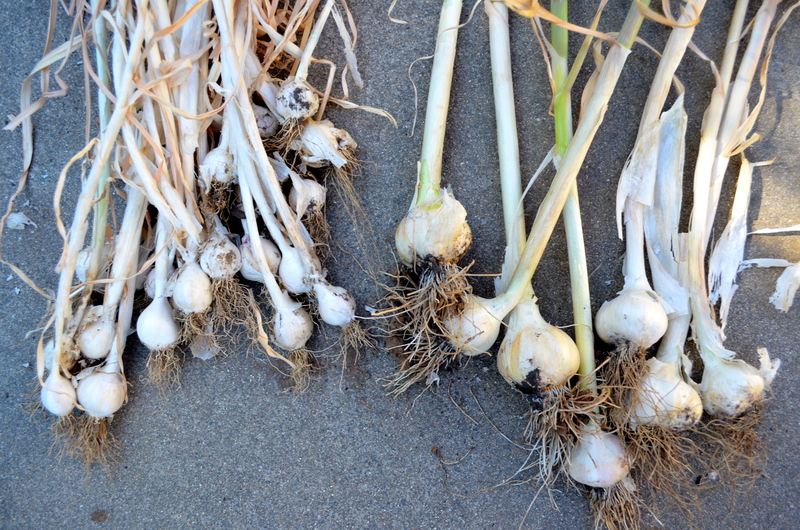 Tags: garlic, harvesting, soil fertility | Permalink.